Some evidence suggests that about one-third of the tests doctors order are unnecessary -- and doctors make a pretty penny on those tests. Recently the Ontario government announced that it is reducing OHIP fees by 50 per cent in situations where self-referral has occurred. The government has good reason to be interested in this issue, but cutting fees for self-referral isn't the answer. If I were a respirologist, I would receive many referrals from family doctors asking me to determine whether patients with shortness of breath have asthma or chronic obstructive pulmonary disease. I would take a history from each patient and conduct a physical examination. Depending on the situation, I might occasionally order some blood tests or a chest x-ray. And then, for most such patients who were referred to me, I would conduct a test known as spirometry and interpret the results. I would then inform the patient about my diagnosis, prescribe some treatment if necessary, and write a letter to the referring physician. Does anything sound wrong with this scenario? It shouldn't. But when you think about how physicians are paid, a potential problem arises. Specialists in Ontario are paid both for consults (seeing a patient at another physician's request) and also for conducting tests. In the situation described above, a respirologist would receive $157 from OHIP for seeing the patient and dictating the letter back to the family physician, and between $29 and $38 for conducting and interpreting the spirometry test. Because the history and physical examination are limited and can even be misleading in patients with shortness of breath, guidelines recommend that physicians perform spirometry to diagnose both asthma and chronic obstructive pulmonary disease (COPD). When the same physician asks for a test and then performs it herself, this is called self-referral. There is nothing intrinsically wrong with self-referral. 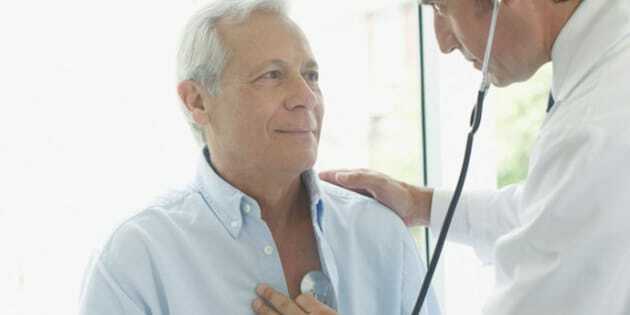 In fact, self-referral is often the best way a physician can care for a particular patient. Consider this alternative to the scenario described above: the respirologist could send a letter back to the family physician recommending spirometry, and the family physician could then refer the patient back to the respirologist for the test. That would not be self-referral. But it would be inconvenient for everyone involved, especially the patient. It would also delay the diagnosis, potentially resulting in harm. Recently the Ontario government announced that it is reducing OHIP fees by 50 per cent in situations where self-referral has occurred. The government has good reason to be interested in this issue. There is plenty of evidence to support the notion that physicians who own diagnostic testing equipment are much more likely to order tests than physicians who do not. And although physicians don't necessarily like to talk about this publicly, we all know that some doctors order too many tests. Some evidence suggests that about one-third of the tests we order are unnecessary. For example, most patients with low back pain don't need an MRI. Many patients don't need echocardiograms, spirometry or colonoscopies nearly as often as they are performed. Some of us refer patients to other physicians for these tests. And some physicians conduct these tests ourselves. In other words, we engage in self-referral. There are many reasons why physicians order too many tests -- lack of knowledge, cultural norms, patient preference and fear of litigation are probably the most common explanations. Let's be honest and admit that in some self-referral situations, greed is also a factor. Let's also admit that the fees for some tests are higher than they ought to be. The combination of self-referral, overly generous fees and large for-profit independent health facilities is particularly toxic. These are issues that the medical profession and government need to address urgently. Society has granted the medical profession the privilege of self-regulation, and it is probably fair to say we have not regulated self-referral as effectively as we should have. But punishing all self-referral is not the solution. The Minister of Health and Long-Term Care, Deb Matthews, has stated that she is open to speaking with doctors about how to deal with the self-referral issue. The medical profession should welcome such an invitation. The public should get good value for what it spends on health care. And doctors should not feel like they are doing something wrong when they perform a test that is in their patient's best interest.